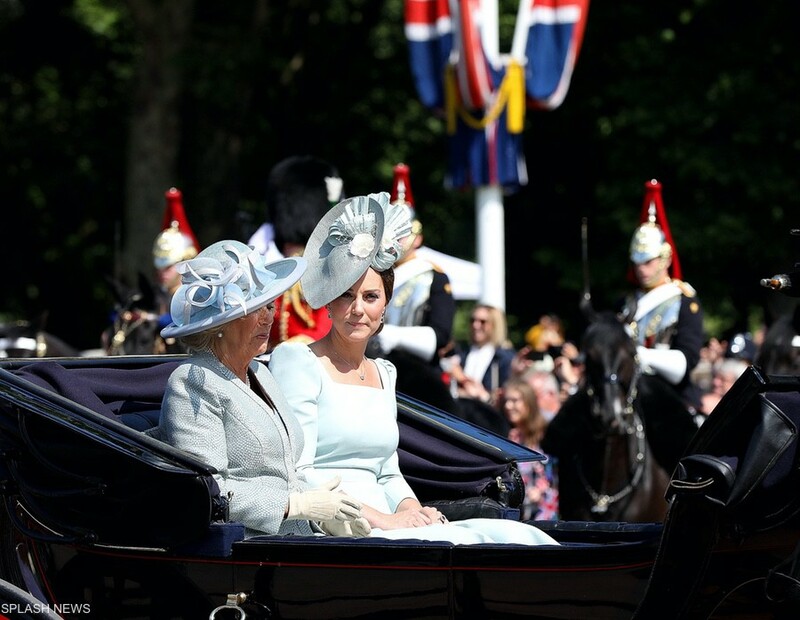 On the 9th of June 2018, Kate joined the Royal Family at the annual Trooping the Colour Parade. 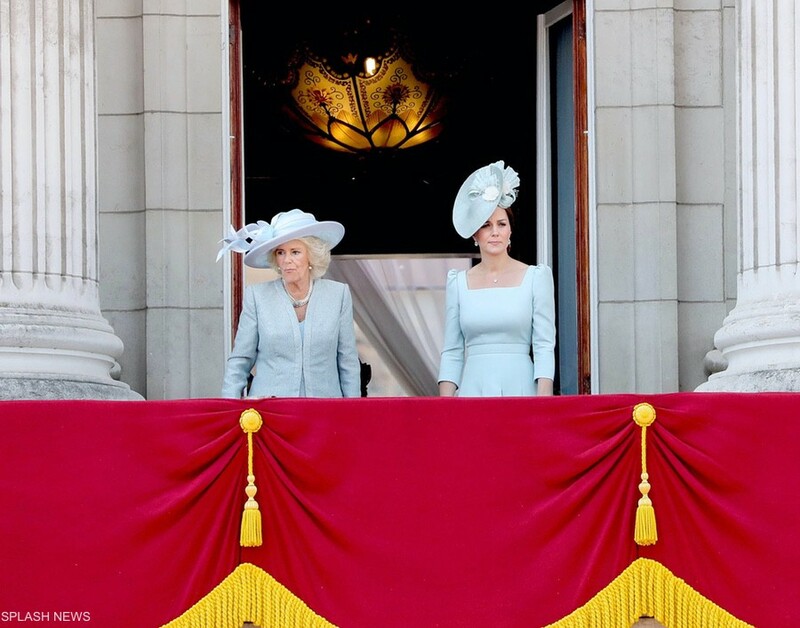 It is the eighth time the Duchess has attended the event. 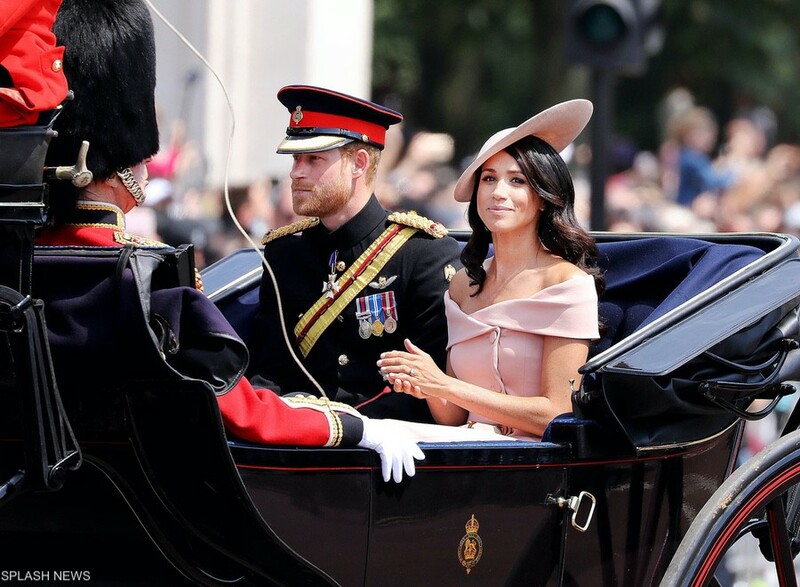 She has not missed one parade since marrying Prince William in 2011 (click here to view all previous Trooping coverage). 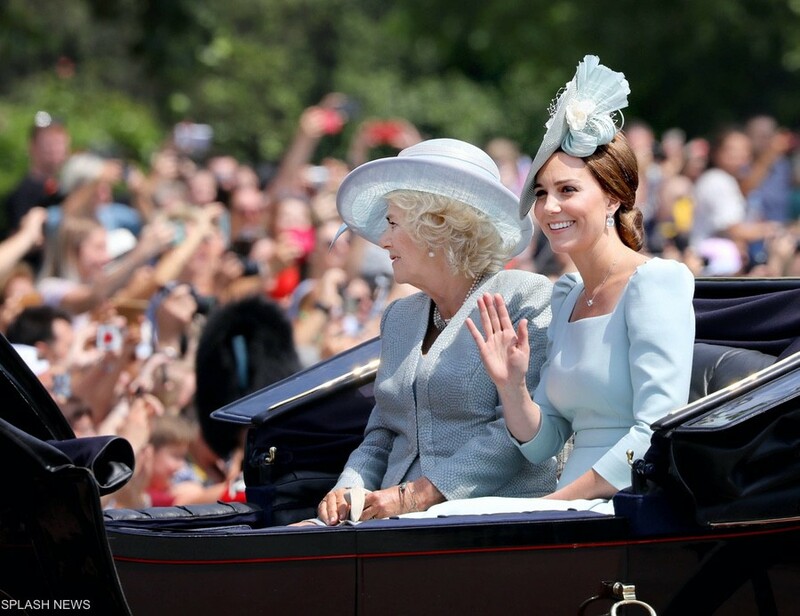 Over the last seven years, Kate has sat in a carriage alongside the Duchess of Cornwall and opposite Prince Harry. 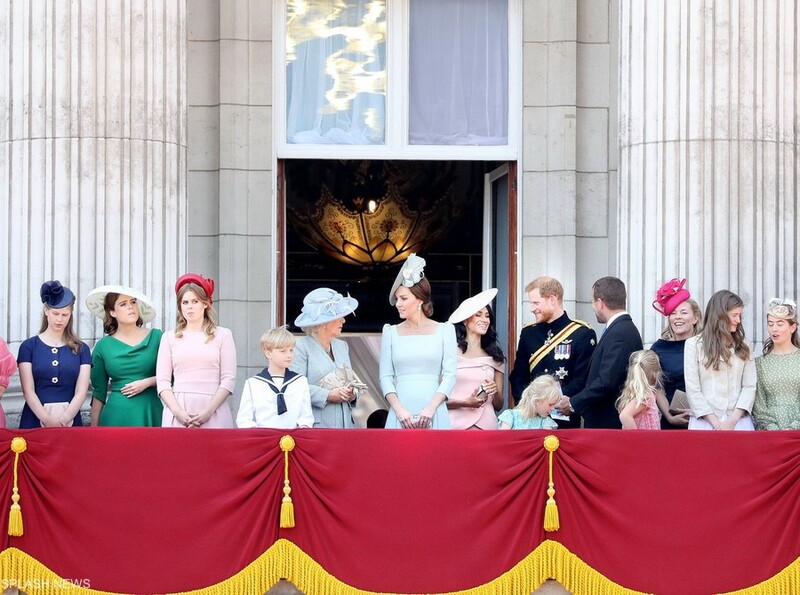 However, newlywed Harry sat opposite his wife this year. 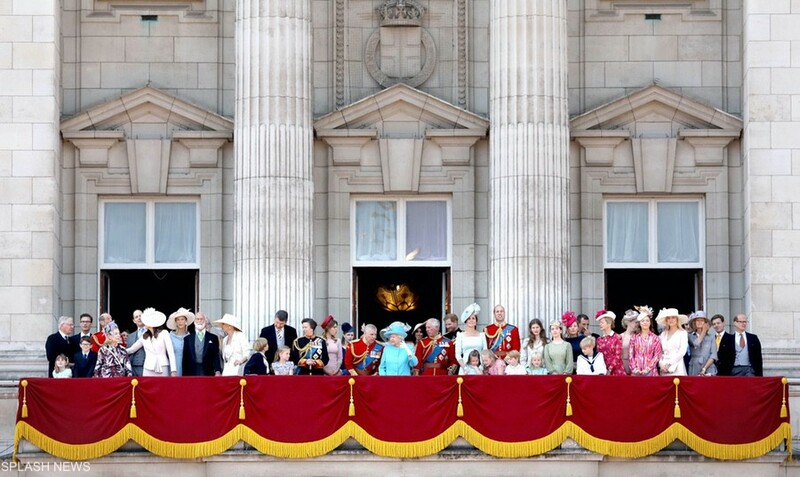 Each year, the Royal Family join the Queen on the balcony at Buckingham Palace to watch The Royal Air Force Aerobatic Team (RAFAT) and The Red Arrows take part in the flypast. 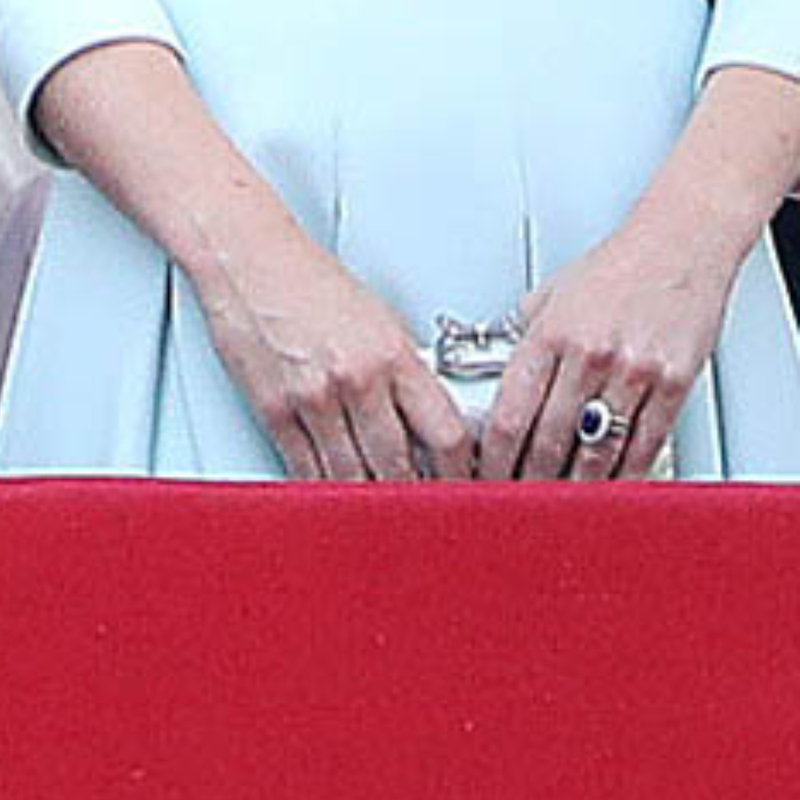 As in previous years, Prince George and Princess Charlotte were in attendance too. 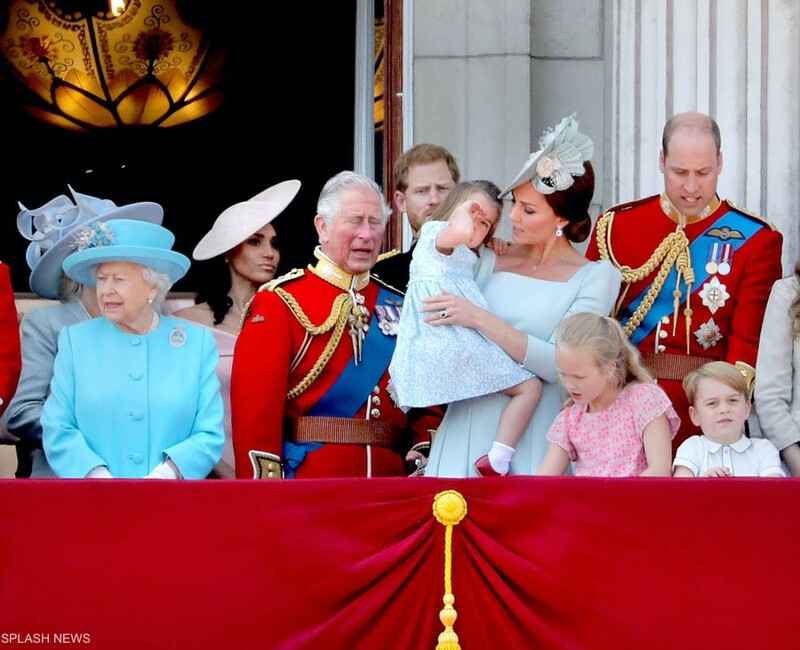 There was no Prince Louis, who is of course too small to enjoy the spectacular display. 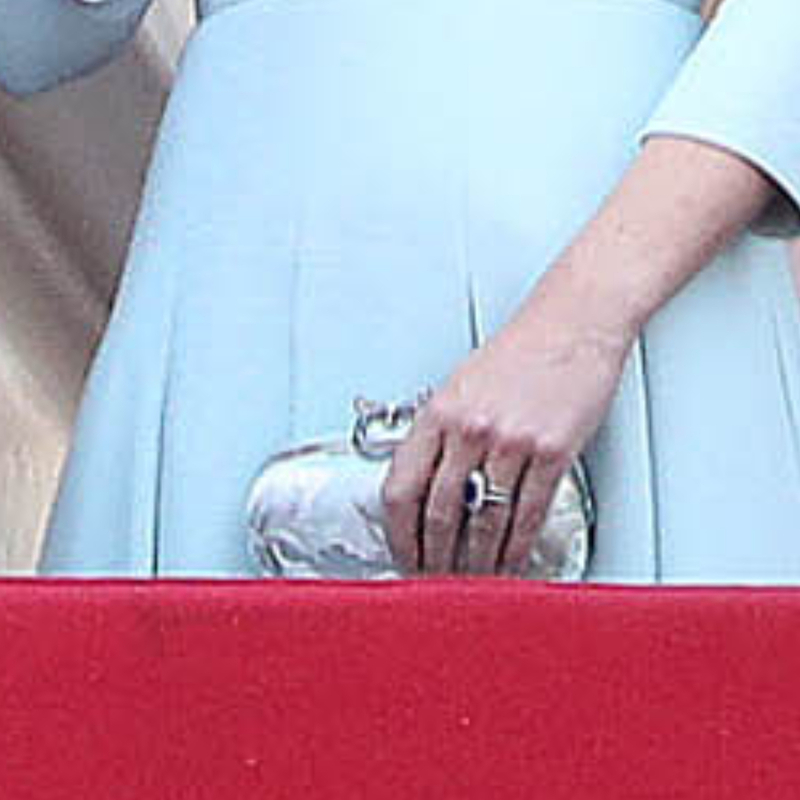 Duchess Kate wore an icy blue coloured dress by Alexander McQueen. (See similar at AlexanderMcQueen.com.) 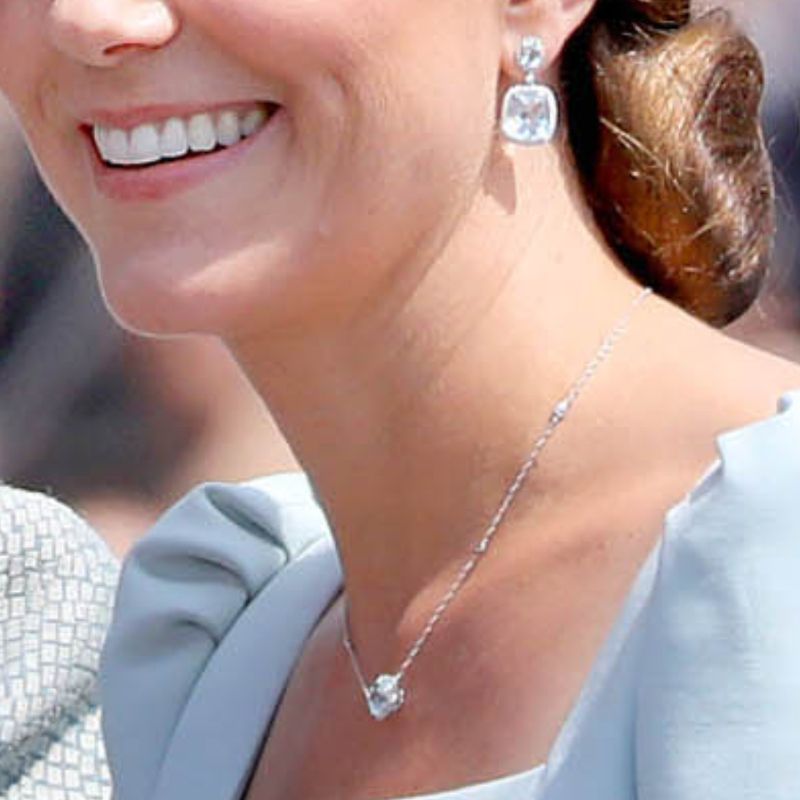 The dress has slightly puffed shoulders, a square neckline and a band at the waist. Plus, it features a box pleat skirt. 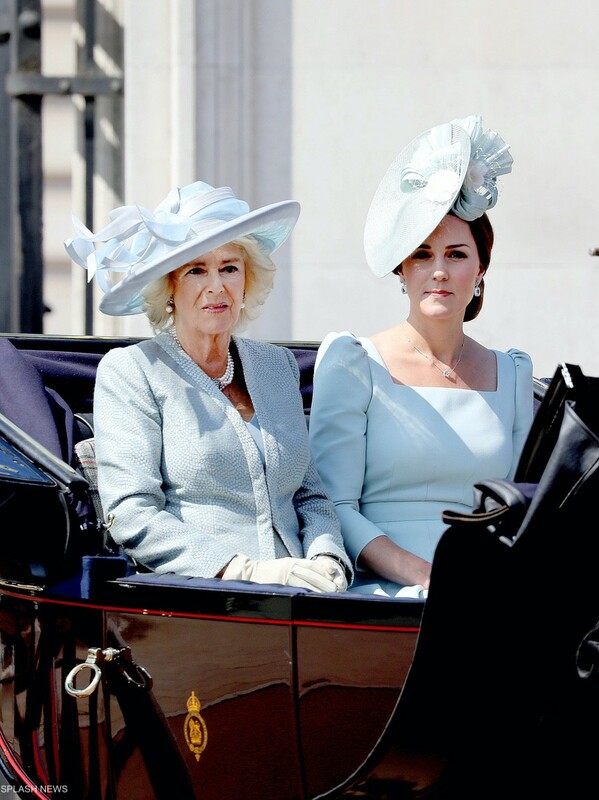 The Duchess chose a coordinating hat by Juliette Botterill. 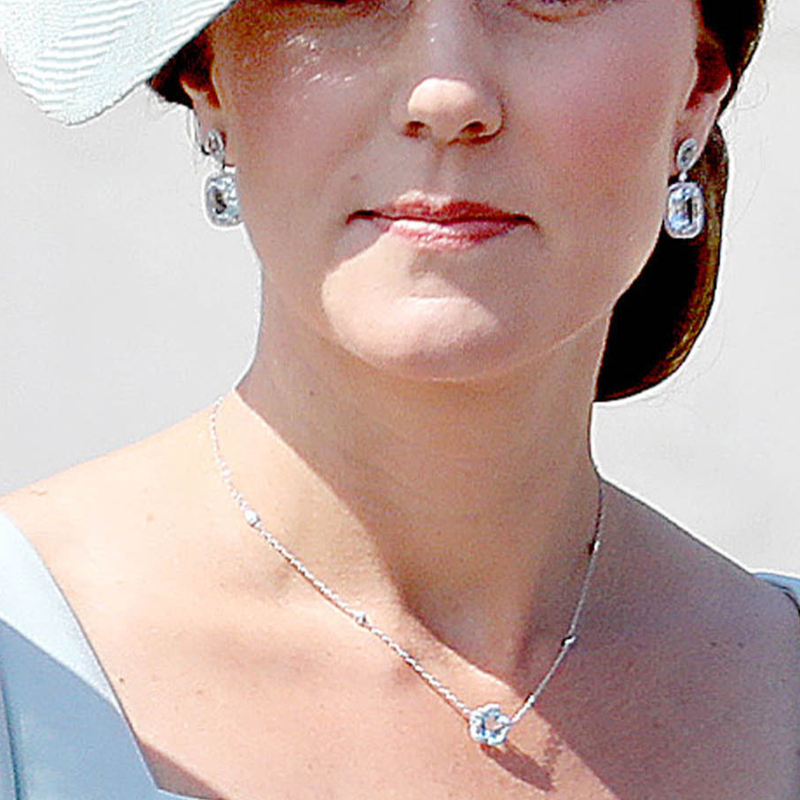 Kate’s wearing the Classic Earrings and Eden Necklace in blue topaz, both from Kiki McDonough. Coordinating (possibly floral?) clutch bag unknown.